Wicker is actually the term used to describe the specific weave pattern. The actual material is either natural (bamboo, reed etc) or synthetic (plastic, resin etc). The primary difference between the two is usually price, although synthetic tends to do better outdoors. Natural wicker furniture is more vulnerable to weather and the elements. Too much sunlight and too much rain can be equally damaging. For outdoor use, synthetic is the better choice. 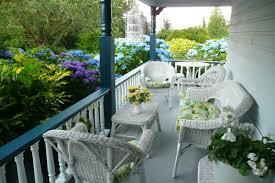 Alternatively there are natural wicker sets that are coated in resin or vinyl. When buying, it is a good practice to check the weaves. Look under the furniture and check for any frayed ends that can eventually come undone. The weaves will need to be able to support the full weight of a person for long periods of time which is why the quality of the weave is crucial. In addition check the paint or varnish for signs of sloppy work. Most wicker furniture is purchased with cushions. However, when buying always check to make sure that you can easily get a set of lloyd and flanders replacement cushions. Complement your setup with brown wicker patio furniture from Wicker Paradise, providers of the finest quality wicker furniture and cushions for outdoor furniture.